Our inventory of vacation rental homes and cottages provides a variety of options with something for everyone. We have small cottages and larger homes in all areas of the peninsula. They span from Port Clyde, Martinsville, and Tenants Harbor over to Spruce Head. Our full-service company, located on the peninsula, enables us to provide timely services for our owners and guests. Your visit to our area is important to us all, so if we can’t find a match for you we’ll help locate another who can. 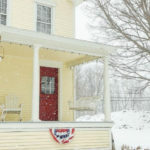 Thinking about a Maine home of your own? True Hall Real Estate represents both buyers and sellers in St. George and towns in the surrounding area. 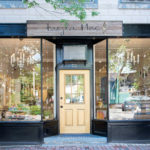 It’s never too soon to start looking ahead and planning your Maine real estate purchase. Call us anytime, or if you are in Tenants Harbor stop by our office next to the East Wind Inn on the harbor.